In order to provide the best services, our technicians look all aspects of the machine, inspect and check the working. We ensure to make use of best quality products, tools and parts to mend your ice maker. With our professional and affordable appliance service repair, you can feel the difference in our service quality and price as well. Our experienced technicians instantly and accurately diagnose any issue that may occur in ice maker and perform the repairing and servicing without utilizing much time. At Commercial Refrigeration Brooklyn, we are dedicated to offer our clients with best services at best prices. 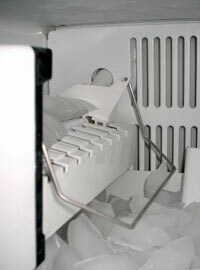 We understand that your business relies on the use of ice maker and when it breaks down you have to suffer big loss. So before this situation arrives or the situation get worse, call us on given numbers. We offer 24×7 responses to any of your refrigeration related problem and our technicians are always available day, night, and even on weekends.